My garden is overflowing with basil this year. We have had a warm and dry summer, with very little rain, and my basil plants were VERY happy with those conditions. Last year I waited too long to use the last of my basil and the frost got to it first. This year, I made better choices. 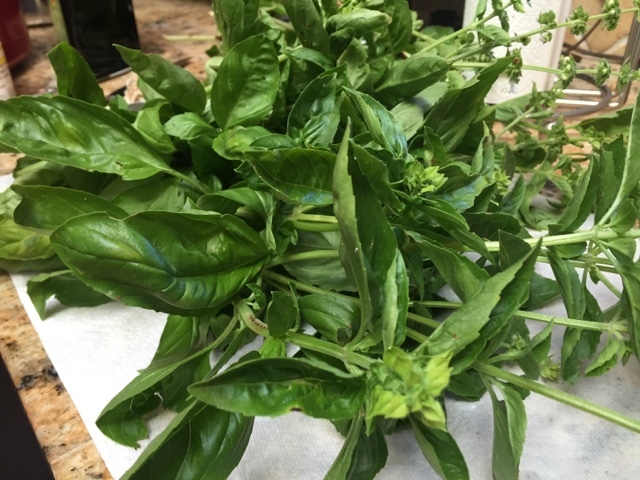 I chopped that basil down and brought it inside for some pesto-yumminess. This is from just one plant. Sometimes, when I make pesto, I just throw in a little of this and a little of that. This time, I actually measured. Here’s what I did. After a few second in the food processor, it’s all done! I was able to make several batches with the basil from my garden, so I put some in mini jars and put them in the freezer. I was really wishing that I had ice cube trays because I think that would have worked out better for freezing. Oh well, maybe next year. I made those teenage boys some sandwiches with my (borrowed) panani press (thank you Leslie). The sandwiches had sourdough bread, homemade pesto, turkey, provolone cheese, and sundried tomatoes. They enjoyed the sandwiches and told me the pesto was really good… I told you they were good kids! 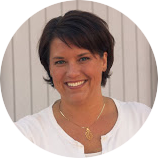 Enjoying reading your blog! 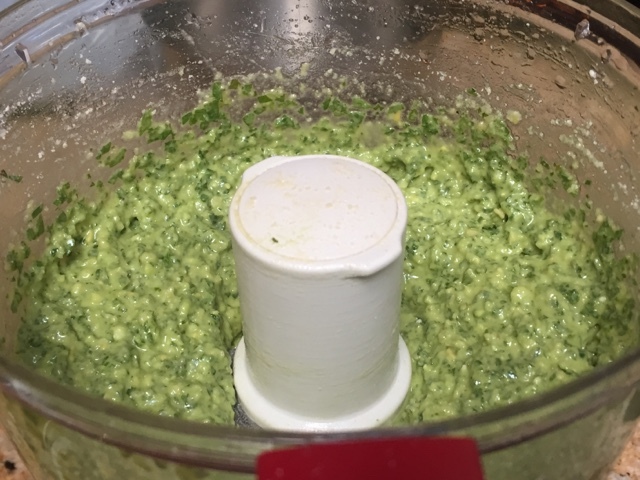 I just wanted to chime in and say that when I make pesto I use walnuts instead of pine nuts. I make sure to toast them, it brings out a deeper flavor. 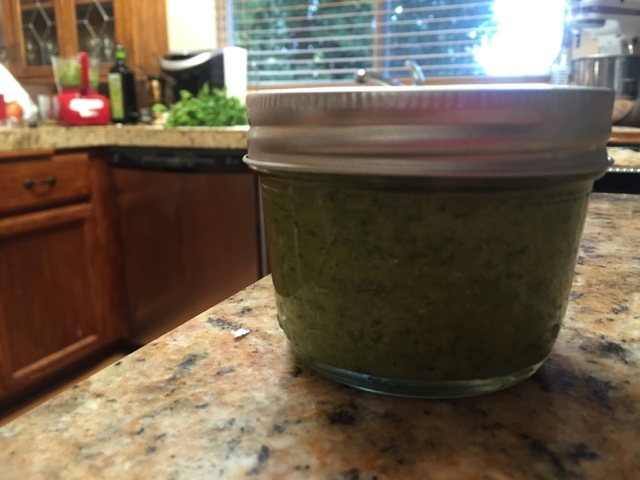 Each autumn I make jars and jars of pesto and freeze up. It thaws quickly, so I never bother with ice cube trays.